Version 2.0 of Tidal is on the way. Hi-res audio streaming service Tidal has been around since 2014, but superstar rapper Jay Z bought the outfit for a cool $56 million this year and he's about to relaunch with a fresh coat of paint. That paint is coloured blue if Jay Z's Twitter profile is anything to go by. Some of his celebrity friends - like Coldplay and Rihanna - have been joining in with the hashtag #TIDALforALL. Does that mean free accounts for everyone? In fact, quite a large number of artists seem to be jumping on the hashtag bandwagon, which probably has Spotify a tad concerned. Arcade Fire, Daft Punk, Kanye West, Beyonce, Jack White have all done the same. The service has so far differentiated itself with the high quality of its streamed tracks (1411 kbps FLAC format no less) and a premium price to match - £19.99/$19.99 a month instead of the £9.99/US$9.99 cost of Spotify Premium. There's no free tier right now but that could change. Those parameters have apparently convinced Taylor Swift to sign up for Tidal after she became disillusioned with Spotify's attitude to reimbursing artists. Later on today we should know what Jay Z and his pals have planned - the site is currently counting down to the big reveal. We're promised "high fidelity sound quality, high definition music videos and expertly curated editorial" by the teaser message. If enough big-name artists get involved then the likes of Spotify might have something to worry about, though Tidal only has a few thousand subscribers right now. 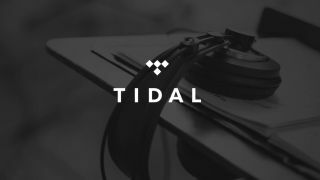 Last month Tidal's Pål Bråtelund told TechRadar that hi-res audio platforms were "ready to explode" onto a scene currently dominated by compressed formats. "We're dabbling with higher than CD-quality streaming," he said, also suggesting the current offerings could drop in price.